We believe puppets are for kids of all ages. They are fun, silly and colorful, yet they can also help us share the good news of Jesus Christ. The Park Puppets talk and sing about such important faith matters as loving our neighbors, forgiving others, overcoming fear, and loving God with heart, soul, mind, and strength. Our puppets perform during worship on the first Sunday of the month and on various special occasions during the church year. They also perform at a number of nursing homes throughout New Albany. 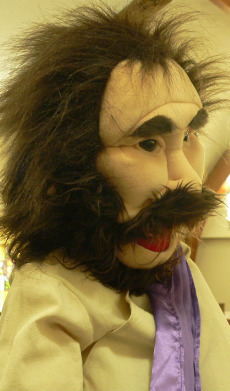 For more information about our puppet ministry, please contact Dawn Crawford.